This paper challenges James Scott’s thesis of state evasion and state prevention as the basic features of lowland-upland relationships. It scrutinizes the validity of Scott’s assumptions by examining the case of prolonged violent conflict in a tiny Tay polity feudatory to China during the late eighteenth and early nineteenth centuries. Civil war broke out in the Mäng2 Khön1 polity (Mangshi, Dehong Autonomous Region in southwest Yunnan, China) due to mismanagement by the monarch of two upland peoples, the Jingpo and the Ta’aang. The analysis of the hostilities furnishes no evidence to validate Scott’s thesis of mountain areas as refuge zones for migrants from lowland oppression. What it does expose, however, is the symbiotic side to upland-lowland relationships. It concludes that symbiosis of upland and lowland was a central issue for the maintenance of political and social stability. Rather than viewing diametric opposition as the main characteristic of upland-lowland relations as Scott does, this study demonstrates the role of interdependence and cooperation, and reveals that relationships between upland peoples and Tay polities shifted according to changing politico-social circumstances. It also identifies the late eighteenth and early nineteenth centuries as a tumultuous period for upland and lowland, when the migration of new ethnic groups forced basin polities to readjust their strategies. 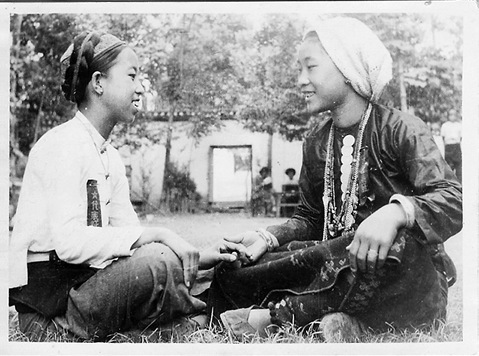 Photo 1 shows two young Jingpo and Tay women clasping hands and chatting cheerfully sometime during the 1950s. The caption reads: “In the past, the conflict between the Jingpo and the Tay ethnic groups was excessive, but now they cordially practice mutual self-criticism and cooperate closely together.” The words eulogize the triumph of the People’s Republic of China (PRC) in putting an end to over 150 years of intermittent conflict between these two ethnic groups in the Dehong Dai and Jingpo Nationality Autonomous Region 徳宏傣族景頗族自治州 (hereafter Dehong) in Yunnan, China. The caption is significant because it confirms widespread clashes between upland and lowland peoples before the 1950s, a historical fact often underplayed since the eradication of ethnic disharmony. Needless to say, conflict between upland peoples and lowland polities is a persistent theme in the history of pre-modern continental Southeast Asia. In his recent book The Art of Not Being Governed: An ­Anarchist History of Upland Southeast Asia (2009), James Scott argues that upland peoples deliberately attempted to evade conflict by choosing a material lifestyle (residential location, agricultural techniques, and even rejection of written scripts) and ideology, and a flexible social organization that protected them from incorporation into the administrative ­systems of lowland polities. He asserts that upland peoples aspired for statelessness, adopting state evasion and state prevention as political strategies for dealing with lowland polities; the sheer immensity of lowland political and military power compelled upland peoples to choose non-contact and non-participation as survival strategies.2) This paper, based on empirical research, challenges Scott’s thesis of state evasion and state prevention as the basic feature of lowland-upland relationships. It scrutinizes the validity of Scott’s assumptions by examining the historical evidence of prolonged violent conflict in a Tay polity feudatory to the Qing during the late eighteenth and early nineteenth centuries. It specifically tries to ascertain whether upland-lowland relationships were as confrontational and incongruent as Scott claims, or whether they encompassed more symbiotic features such as interdependence and cooperation. The purpose is to try to broaden our perspective on the complexity of the history of upland peoples, in order to redress the simplistic view espoused by Scott. 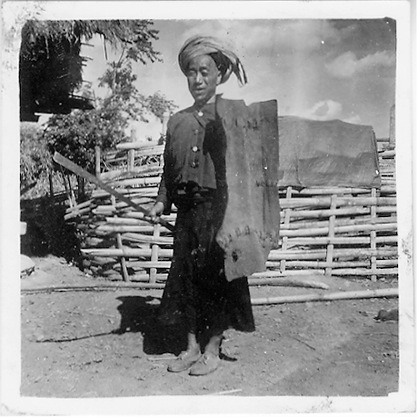 Source: Photograph from Yunnan Provincial Government Committee for Nationality Affairs 雲南省人民政府民族事務委員會圖片 album, 1950s to early 1960s (private collection). The caption cited in the first paragraph of the paper was written on the album itself. The history of the relationships between upland ethnic groups and Tay polities is marred by scanty and scattered information. Chronicles tell us something of Tay polities but almost nothing about upland peoples. This has encouraged historians to ignore the latter and to portray history from the Tay perspective. Needless to say, partial and selective histories can be tolerated no longer, and we need to make greater efforts to capture the whole picture. Upland peoples, mostly illiterate, left few records of their own, but the chronicle cited as the main source occupies a most unusual position in Tay literature because it offers detailed evidence concerning lowland-upland conflict; the account occupies roughly half of the entire work (150 pages out of a total of 298 printed pages). It is known as the Khä2 Mäng2 Mäng2 Khön1 (KMMK, A history of the pedigree of the realm of Mäng2 Khön1, hereafter the Chronicle).4) Apart from this version, only one other version has been identified, a manuscript that carries the puzzling title Lik6 Öng3 Kyaam3 Sin3 Mäng2 Khön1 (LÖKSMK, The text of Öng3 Kyaam3 Sin3 of Mäng2 Khön1). A search has revealed no Chinese sources, so we have no alternative but to rely on the account in the Chronicle to uncover the realities of upland-lowland relations. Though constrained by reliance on a single indigenous source, this paper is a modest attempt to try to understand the past in its own terms and establish some benchmarks for understanding the history of upland peoples. As background, I will first of all elucidate the political environment surrounding the polity of Mäng2 Khön1 and then provide a detailed summary of the four-decade civil war according to the Chronicle, before analyzing the role of the Ta’aang and Jingpo in the upland-lowland conflict. Mäng2 Khön1 (Chinese: Mangshi 芒市) is a small basin located in Dehong in southwest Yunnan, China. The basin ranges from 860 to 900 meters in elevation, and it measures 26.5 kilometers from north to south and 6–10 kilometers from east to west. The total area amounts to approximately 141 square kilometers (Luxi Xianzhi Bianzuan Weiyuanhui 1993, 53; Yunnan Shifan Daxue Dilixi et al. 1998, Vol. 1, 232). The territory of the polity included the surrounding mountains as well as the basin itself, but we have no data concerning its population during the eighteenth and nineteenth centuries. A recent government gazetteer estimated the combined average population of the Mäng2 Khön1 and the Ce4 Faang1 (Chinese: Zhefang 遮放) basins and adjacent mountain areas during the 1919–47 period as roughly 50,000 people.5) Another source reported the total non-Han population of the same area in 1935 and 1946 as 39,618 and 29,716 respectively (Yang 1946, 74–75). The 1946 figures were probably lower than the 1919–47 period average due to the ravages of World War II, but the breakdown in Table 1 shows that over 50 percent of the population (Tay) resided in the basin while the other three ethnic groups—the Jingpo, Ta’aang, and Lisu—lived scattered over the mountains. Based on the above figures and allowing for the Han Chinese who resided on the mountains, we may speculate that the population of the Mäng2 Khön1 polity in the first half of the nineteenth century did not exceed 50,000. In terms of population and territorial size it was, indeed, a tiny polity. Chinese and Burmese dynasties exerted progressively stronger influence on Tay polities after the Mongol conquest of Yunnan in 1253. Mäng2 Khön1 (hereafter the polity) came under indirect control of the Ming Dynasty in 1443. As a polity that swore fidelity to China, it was designated by the Ming court as a Chief’s Office (Zhangguansi 長官司), headed by a leader of rank 6a who held an appointment as a civilian native official (tuguan 土官) under the supervision of the Ministry of Personnel (Li Bu 吏部). In the eighteenth century the monarch bore the title Mangshi Anfushi 芒市安撫使, or the Mangshi Pacification Commissioner (rank 5b), and successive rulers held this position until the abolition of the commissionership by the PRC in the early 1950s. Chinese control over the polity changed markedly in the aftermath of the 1766–69 Qing-Konbaung War. Though the Qianlong emperor (reigned 1736–95) dispatched four expeditionary forces to fight the Konbaung army, the Qing failed to attain a decisive victory. Qing relations with the Burmese Kingdom remained tense following the truce of 1769 due to dissatisfaction over the postwar settlement, particularly the failure of the Burmese to pay tribute. On high alert against incursions on the Yunnan border, the Qing army halted trade with Tay polities owing fealty to the Konbaung monarchy and prevented civilians from traveling back and forth until 1788, when relations between the two dynasties were finally normalized.6) In order to enforce the embargo, the Qing established a new administrative unit known as Longling Sub-prefecture 龍陵廳, contiguous to Mäng2 Khön1, in 1770. The polity occupied a strategic point on the thoroughfare from Tay polities in northern Myanmar to Dali Prefecture in Yunnan. Traveling northeast from the Sino-Myanmar border, the road passed through the basins of Mäng2 Maaw2 (Chinese: Ruili 瑞麗), Wan2 Teng4 (Chinese: Wanding 畹町), Ce4 Faang1, and Mäng2 Khön1 before crossing the ­Salween River at Mäng2 Khä2 (Chinese: Lujiang 潞江). Due to Longling Sub-district’s location in the mountains on the road between Mäng2 Khön1 and the ferry at Mäng2 Khä2, the Qing made it responsible for both Mäng2 Khön1 and Ce4 Faang1 after its establishment (DQGCHS, 12175; Zhang and Cun 1917, 138). This measure afforded Qing officials tighter control over traffic on the roads from northern Myanmar and strengthened Qing supervision over the two adjacent Tay polities. The aftermath of the Qing-Konbaung war marked a profound reversal of fortune for the Mäng2 Khön1 polity. While the polity had been spared from ravages by the Konbaung army, after hostilities ceased it had to endure the presence of large numbers of Qing troops garrisoned within the basin and on the surrounding mountains. 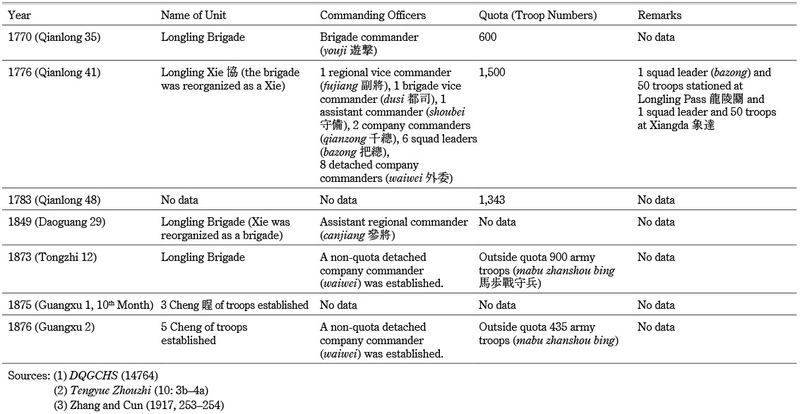 Table 2 indicates that in 1776 the Qing suddenly enlarged the Green Standards (lüying 緑營) quota for the Longling Brigade (ying 營) to 1,500, which amounted to an increase of 900 since 1770. The escalation reflected growing Qing anxiety over civilian contact with Tay polities feudatory to the Konbaung monarch. The Longling Brigade came under the Tengyue Garrison 騰越鎭, which supervised 16 native officials over a broad area that stretched from Dehong and Baoshan 保山 in the west to present-day Lincang 臨滄 and Pu’er 普洱 in the east. The fact that the Longling Brigade occupied 20 percent of the Tengyue Garrison quota of 7,500 soldiers at the height of the alert in 1775–76 bespeaks its importance (Tengyue Zhouzhi, 10, 4a–4b). As imperial suspicions about the Burmans abated, Qing officials lowered the troop quota for the Longling Brigade to 1,343 soldiers in 1783. Though sources provide figures only for rises in 1873 and 1876, we may infer that the 1783 quota remained in effect until the second half of the nineteenth century. During the 1770s, Qing officials began to station troops within Mäng2 Khön1 territory on narrow paths and trails that ran over the mountains leading to Tay polities feudatory to the Konbaung Dynasty in neighboring northern Myanmar. The troops manned checkpoints (guanka 關卡) set up to regulate the movement of people and goods. The reform of the Longling Brigade in 1776 included the posting of 50 troops under the command of squad leaders (bazong 把總) at Longling Pass 龍陵關, the southern gateway to the sub-prefecture, and at Xiangda 象達, on another route up from the capital of Mäng2 Khön1 (DQGCHS, 14764; Zhang and Cun 1917, 146). Qing officials stationed Green Standard troops at outposts (xun 汛) in the Mäng2 Khön1 and Ce4 Faang1 basins from 1770 until 1838. The Green Standards assigned to the Mangshi Outpost 芒市汛 and Zhefang Outpost 遮放汛 were quartered there seasonally: they went down on guard duty to these outposts in the autumn and winter and returned to the high ground in Longling to escape malaria during the spring and summer. Even the thousand Green Standards posted at Santai Mountain 三臺山 (Tay: Löy4 Paang4 Tëng4), a strategic point on the thoroughfare from the Mäng2 Khön1 to the Ce4 Faang1 basin, under the command of Regional Commander (zongbing 總兵) Kamčibu 喀木齊布, during the alert years of 1773 and 1774 did not remain in garrison the whole year round (Daniels 2011).7) The governor-general of Yunnan and Guizhou, Li Shiyao 李侍堯, memorialized the throne in 1778 requesting that 100 troops be assigned to Santai Mountain, “50 of whom were to be allotted to Kaat3 Cong4 [Chinese: Kazhong 戞中], Nongchou 弄臭 [Tay name unknown], Ce4 Maü 3 [Chinese: Zhemao 遮帽], Mäng2 Ka4 [Mengga 猛戞], and other places in order to lead the native militia (tulian 土練) in strictly inspecting people’s coming and going” (DQGCHS, 15537). Mäng2 Ka4, which lay in the mountains of Mäng2 Khön1, played a vital role in the four-decade war, while the other three places lay in Ce4 Faang1 territory with Kaat3 Cong4 occupying a strategic position on the route south to Wan2 Teng4. Gioro Tusedei 覺羅圖思徳, the governor-general of Yunnan and Guizhou, informed the emperor in 1774 that the principal duty of the troops at the checkpoints was the “inspection of merchants and peddlers ” (GZDQZ, Vol. 37, 62) for the purpose of ensuring that prohibited goods such as “silk cloth, needles, pieces of felt” were not exported (ibid., Vol. 33, 849). Table 3 lists the names of 11 checkpoints set up in the mountain tracts of the polity between 1815 and 1820. The magistrate of Longling Sub-prefecture established Nos. 1 and 2 in 1815 for the purpose of handling disturbances by the Jingpo, and built Nos. 3, 4, and 5 to control bandits in 1820 (Zhang and Cun 1917, 256–257). The militia men (lianding 練丁) at these checkpoints either relied on rent rice collected from tenants in the basin (No. 1) for their grain supplies, or were allocated land in the mountains to cultivate their own grain crops (Nos. 2–8). Qing officials founded the checkpoints to maintain law and order on the mountains during these tumultuous years (details in next section), and the Qing army ended up encircling the polity. The native militia mentioned in Li Shiyao’s memorial provided the Qing army with essential support. On duty the whole year round, they conducted most of the inspection and guard work. Native officials originally bore the expenses for the native militia, but the Qing footed the bill for them until 1789, by which time the tense relations with the ­Konbaung Dynasty had ended (GZDQZ, Vol. 72, 773–774). The Tay ruler of Mäng2 Khön1 relied heavily on the Han native militia from Mäng2 Ka4 (thu2 lën3 luk6 khe3 Mäng2 Ka4) as mercenaries during the four-decade civil war. He hired these upland Han to fight the Jingpo when they began raiding in 1792 (Qianlong 57). Providentially spared the anguish of occupation by the Konbaung army during the hostilities between 1766 and 1769, and enjoying protection from the Qing army, the polity encountered trouble from an unexpected quarter: the mountain tracts. In 1792 the ever-unruly Jingpo began to raid villages in the west of the basin, and their plundering con­tinued until c.1796 (Jiaqing 1). The initial disturbances, and indeed most of the later rivalry as well, occurred at a place known as Mäng2 Khi1 (Chinese: Xuangang Ba 軒崗壩), literally “Land of Sorrows,” reportedly because the Tay regularly suffered from the depredations of roving Jingpo. It lay in undulating country adjacent to the high mountains, and many a Tay lost his property, cattle, or family members to marauding Jingpo up to the 1950s. Checkpoint No. 1 (Table 3) was established at a position with easy access to this locality. The Jingpo moved into these mountains from the direction of Mäng2 Wan2 sometime in the second half of the eighteenth century. The attacks greatly damaged the Tay polity but were overshadowed by a conflict of deeper significance for the administration of the country—the contest of wills between a pro-Ta’aang ruler and anti-Ta’aang Tay, which aroused deep passions and unsettled life in the polity down to the first settlement of 1817–18. Faang1 Song3 Fa6 turned to the Mäng2 Ka4 native militia out of desperation for he could not muster an adequate force from among his own Tay subjects. Indeed, the harm inflicted by the Jingpo proved so immense that he found the initial 100 insufficient and had to supplement them with “another team of 100 gallant native militia troops,” which the Chronicle describes as “valiant, competent, capable of enduring hardship, and having withstood [the Jingpo] on several occasions” (ibid., 66, lines 10–12). Source: Photographed by Fang Wenlong 方文龍 2.20.1959. Yunnan Provincial Government Committee for Nationality Affairs 雲南省人民政府民族事務委員會圖片 album, 1950s to early 1960s (private collection). Note: The caption in Chinese on the reverse side of the photograph reads: “Long sword for chasing away spirits (nian gui) and shield of wild boar skin for sending off spirits (songgui) as well as for fighting. Jingpo Nationality, Bangwa.” 照片背後文字：幇瓦景頗族在械鬪或送鬼時專用的盾牌（野猪皮）和長刀（唸鬼）. Plundering by the Jingpo persisted until sometime after the new monarch, Faang1 Ko3 Fa6 (official name Tay: Faang1 Sä1 Cung3, Chinese: Fang Zezhong 放澤重), ascended the throne on the 10th day of the second lunar month of 1796 with support from the Qing Dynasty (ibid., 73, line 10–74, line 2). The succession struggle that arose following the demise of Faang1 Song3 Fa6 in the eighth lunar month of 1795 (Qianlong 60) unsettled society, but the new ruler soon restored order. His policies proved so effective that apparently the Jingpo stopped pillaging of their own accord and presented lavish tribute of tiger skins and ivory as a token of capitulation. Peace lasted for over 10 years, but raiding resumed in 1807–8 (1169 BE, a water buffalo [hong6 paw5] year), when a large Jingpo force burned down a part of the capital. As the Chronicle puts it: “regretfully the wild Khaang1 torched the Buddha images, the scriptures, and the Wi6 Ha3 of the Kyöng2 Sëng1 temple, completely devastating and reducing it to ashes” (ibid., 85, lines 4–6). Thereby the monarch promoted influential Ta’aang to office and issued them with ­vermilion-letter seals of office (cum5 laay2 lëng4) as a sign of their authority (aa4 se3) and exempted them from paying taxes (ibid., 93, lines 10–12). 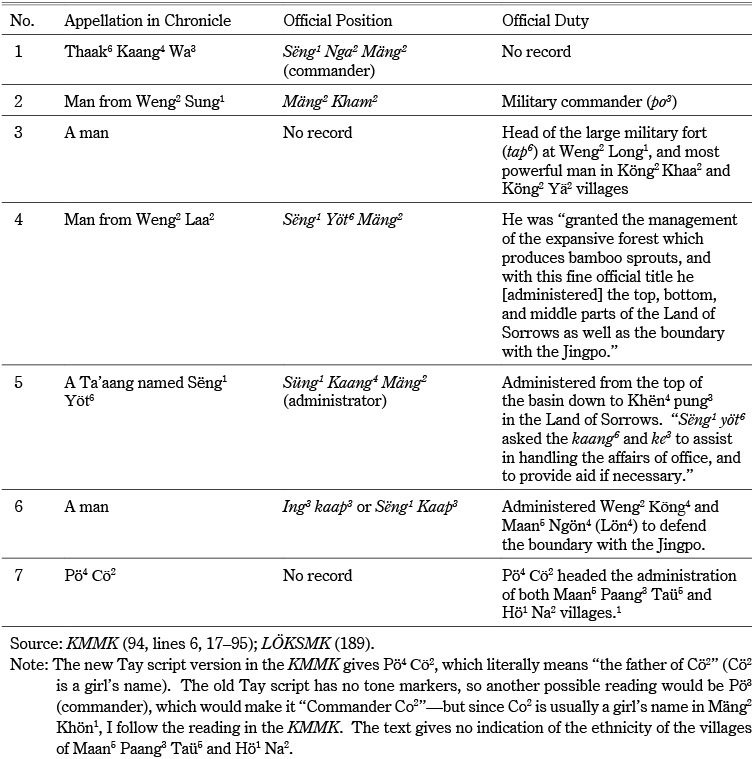 The data concerning the Ta’aang officials assembled in Table 4 indicates that four out of the total of seven were military appointments (Nos. 1, 2, 3, and 6). Furthermore, the holders of the two key posts of Sëng1 Yöt6 Mäng2 (No. 4) and Süng3 Kaang4 Mäng2 (No. 5) were, in effect, put in charge of the entire western part of the basin, particularly the Land of Sorrows. The Chronicle refers to the Ta’aang as “rotten bamboo” because political power corrupted them and eventually embroiled the polity in a civil war that saw the basin overrun and considerable damage wrought. The author/s therefore regard the Ta’aang as basically similar to the destructive “feral pigs” (the Jingpo) whom the Tay ruler recruited to keep the Jingpo out in the first place. Let us narrate the age after Mäng2 Khön1 appointed the Pa4 löng4 as gallant warriors (hö1 haan1). Why after some time did the Pö4 löng4 gradually become increasingly bold, daring to insult and abuse the people? In considering matters, they still pretended to respect [the ruler], but they took whatever they saw without asking. They drew their swords, and waving them chased and slaughtered any pigs, horses, cattle, water buffaloes that they happened to come across. No one dared say anything, and had to grin and bear, because they were terrified of offending them and frightened of being fined in silver. They seized and slept with any attractive woman whom they fancied, no matter whether she was married, unmarried, or widowed. If they really liked a woman, they took her away to use, and did not listen to any yells of protest. They dragged her away despite remonstrations from her father. Her mother was unable to say anything, and there was no way of pulling her back. They were vainglorious, and boasting of their abilities claimed that they could wreak havoc on the ill-tempered animals with matted hair that dwelt among the kha2 grass of the forest [i.e., the Jingpo]. They seized and appropriated any suitably located dry fields (hay4) or wet fields (na2) that they coveted. The stationing of [Ta’aang] men who had been appointed to office12) brought about the deterioration of forts (weng2) that were already undergoing hardship. This resulted in the appropriation of land plots by one of their men and incessant attempts at their seizure by another. The Pö4 löng4 capriciously chose dry fields and wet fields and took them for inheritance (süb6) on many occasions. This passage enumerates such arbitrary behavior as confiscation of cattle, women, and land as the reasons for galling and offending Tay commoners. Abuses of power multiplied and intensified as the careers of the Ta’aang flourished. Then dissatisfaction over the incumbent rulers’ adjudication of a quarrel between two implacable enemies, the Ta’aang stronghold of Weng2 Maan5 Yak3 and the pro-Tay fort at Maan5 Paang3/Weng2 Ho1 Na2, erupted into a rebellion that occasioned the sacking of the monarch’s palace by a motley Ta’aang and Jingpo army. This created wide insecurity; Tay society was unsettled by the ascendance of the Ta’aang to power and apprehensive about how things were going to turn out under them. With rice prices rising sharply, and outraged at the onerous taxes imposed by the deputy ruler—the uncle of Faang1 Ko3 Fa6—the Tay sacked his residence on the 20th day of the second month in the Tay calendar in CS 1180 BE (1818 CE) (ibid., 148, line 6–149, line 11). The Maan5 Paang3/Hö1 Na2 group depended heavily on Jingpo warriors when waging war against Maan5 Po4 and their allies in 1185 BE (1823–24 CE).25) The Chronicle bluntly states, “Na2 Yön3, Maan5 Paang3, and Weng2 Mon2 relied on the wild Khaang1 from the mountaintops, taking them as models” (ibid., 181, lines 18–20). The eventual triumph of the armies of Maan5 Po4 and their allies over the Maan5 Paang3 group put an end to Jingpo participation in military affairs and restored peace and order to the polity. The Chronicle summarizes the reaction of people living in the uplands: “All the wild Khaang1 on the mountaintops in Ce3 Faang1, the Kon2 Löy4 Pa4 löng4, as well as various sorts of Ë3 ä3 and the La6 who dwell in the forested ravines and on the plains, all surrendered to his majesty the deputy ruler.”26) Later, a Jingpo mountain headman (Table 6, No. 1) named Lön4 Mo3 from Ho1 Keng2 came to present tribute of ivory, tiger skins, and other produce as a token of submission. Qing officials bestowed silver, hats, and other paraphernalia on the Jingpo in return (ibid., 235, line 20–238, line 5). With peace established, the incumbent ruler, Faang1 Thet6 Fa6, went back to his capital in 1836. This is the gist of the account told by the Chronicle. The above outline makes abundantly clear that governance relied on subtle negotiation. It highlights an often-underemphasized fact: many Tay polities were, in reality, multi-ethnic regimes whose stability depended on the successful management of upland as well as lowland subjects. The train of events reveals the different roles played by the Ta’aang, Jingpo, and Han Chinese in the four-decade civil war. Each ethnic group had its own motives for participation, and these motives were related to its position within the Tay political order. The relationship of each ethnic group to the monarch, no matter whether friend or foe, is a crucial factor in ascertaining their aspirations for what Scott has termed statelessness. Refusal to take part in basin politics would indicate rejection of state control, thus confirming Scott’s claim. Here we will analyze the cases of the Ta’aang and Jingpo inde­pendently in order to determine their connection with the Tay polity. Let us commence by clarifying the suitability of the Chronicle as a source for upland peoples. The Chronicle was written to uphold the integrity and sovereignty of the dynasty, as well as to authenticate the succession line of monarchs. The text is often tempered by criticism disguised as sermons of Buddhist morality, so the account manifests many layers of meaning. The author/s reproach any monarch who misgoverned or embroiled the polity in dynastic strife. Though subtle in their censure, for after all he was of divine pedigree, they regard as unacceptable any regal behavior that threatened the survival of the royal line. For this reason, mismanagement of upland peoples was intolerable, and, indeed, the Chronicle gives a negative appraisal of the reign of Faang1 Ko3 Fa6 for partiality toward the Ta’aang, which was regarded as a fatal error because it eventually led to a ruinous civil war that left no part of the polity unscathed. The Chronicle account centers on the Tay monarch, so its disparagement of the Ta’aang and Jingpo is not essentially based on ethnic criteria but on their degree of allegiance to him, and therefore by extension to the dynasty itself. The fact that both the Ta’aang and the Tay drew supporters and sympathizers from the ranks of the other side demonstrates that the political and military upheavals of the four-decade war were not conflicts in which one ethnic group pitted itself against another. The two opposing camps were ethnically mixed, and the divisions between them were based on political stance. Sometimes the Chronicle conflates the monarch with the Tay ethnic group, making the account appear pro-Tay. But it categorizes anti-regal Tay as “evil,” “wicked,” and “of bad disposition” in the same way as it disparages Ta’aang and Jingpo who opposed him. Therefore, loyalty to the monarch, not ethnicity, constituted the principal criterion for chroniclers in the ever-shifting alliances between ethnic groups and the endless intra-Tay feuds. This relative absence of serious ethnic bias makes the Chronicle a suitable source for analyzing the role of hill peoples. The main direction of migration by the Ta’aang, the autonym of these Mon Khmer ­language speakers, seems to have been from north to south, from western Yunnan into the Tay polities of northern Myanmar on both sides of the Salween River.27) We know nothing about their early history in Mäng2 Khön1, but the Chronicle reports them as culturally close to the Tay from the late eighteenth century. By this time they had converted to Theravada Buddhism and submitted to the ruler. The exonym Tay2 Löy4 (mountain Tay) bespoke the affinity that the Tay felt for them. Other terms used in the Chronicle include Pe2 Le2 (name of subgroup) and Pa4 löng4/Pö4 löng4 (from the Burmese exonym Palaung). 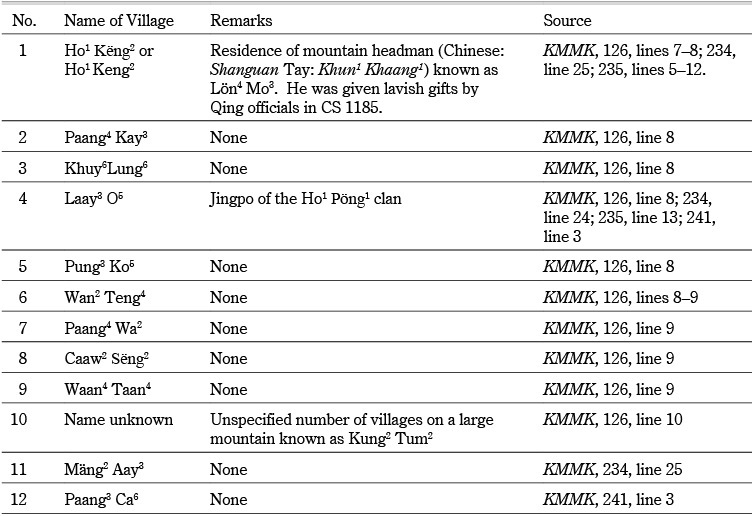 Table 5 lists 25 Ta’aang villages, which confirms that they resided mainly in the mountains during the period of turmoil. Only No. 12, Khën4 Pung3, No. 13, Maan5 Yak6, and perhaps a few other villages were located in the Land of Sorrows. The orator gives three reasons for his discontent. First, the Ta’aang were ungrateful for the special favors (granting them wet-rice fields, etc.) and privileges (waiving tax and labor services) that the monarch had bestowed on them. Second, they displayed contempt for him by devastating his palace. Third, they appropriated cattle, women, and land and even had the temerity to claim that they owned the polity. This was intolerable to Tay senses of propriety since as “lord of water and land (nam6 caw5 lin4 khun1 lmV zvA )” the monarch owned everything in the realm. Divided over policy, and politically weakened by his inability to exercise leadership and the growing necessity to make concessions to the Ta’aang on the one hand and to Tay sentiment on the other, the monarch suffered further loss of power and prestige when his palace was razed to the ground. He was forced to flee to exile in Qing-controlled Longling. As a caw5fa6 (Lord of the Sky), the monarch was supposed to be a sacred ­person, toward whom all subjects were expected to behave with restraint and decorum. The destruction of his palace was an insult to the royal dignity as much as it was a threat to his very life. The anti-regal message was there for those who wanted to see it. This event turned the monarchy into a largely discredited and ineffectual institution until the restoration of Tay power in 1817–18. The anti-Ta’aang movement arose due to deep-seated anti-regal sentiments as well as dissatisfaction with the Ta’aang corruption and misgovernment rather than out of deeply ingrained ethnic hatred. The turncoat Thaak6 Kaang4 Wa3 turned against the monarch who had given him power and privilege in the first place. For this reason the Chronicle severely criticizes all aspects of his intolerable behavior, especially his posing as a devout Buddhist in order to conceal his dishonesty. Royalty sponsored the Pwe Kyaung sect and loathed the Taw Nei and Zawti sects. The monarch also spurned the Käng2 Yon2 (northern Thai Yuan) sect, which Lanna monks had reportedly introduced to the polity in the seventeenth century. The ascendency of the Pwe Kyaung sect patently deprived minor sects of royal patronage. The destruction of temples and Buddha images by the Ta’aang arose in such a religious climate. Royal neglect, or perhaps even perceived sectarian persecution, may have been a factor behind their discontent with the ruler. This passage testifies first that Tay brethren did exist, and second that their collaboration with the Ta’aang made it impossible for them to reside in the polity after the fall of the Ta’aang. It is easy to speculate that, in a situation where ever-mutating patterns of ­alliances persisted, dissident Tay could have readily blended back into mainstream society. But the deep enmity against the anti-regal group compelled Tay sympathizers to take refuge in distant Tay polities east of the Salween River. Tay collaborators clearly feared revenge. The Chronicle labels the Jingpo who migrated to the mountains on the western sides of the Mäng2 Khön1 and the Ce4 Faang1 basins during the late eighteenth century as wild Jingpo or uncivilized Jingpo (Khaang1 he1). Occasionally it used the Tay exonym for the zaiwa subgroup, Khaang1 leng4 (red Jingpo).29) They were the most recent migrants, and as adamant animists with no deep affection for Buddhism they were culturally and religiously far removed from the Tay and the Ta’aang. The Chronicle refers to the part of the polity occupied by the Jingpo and Ta’aang as the löy4 ko3 fa6 and löy4 lum5 fa6.30) Such terms, which translate as “mountain country,” reveal that the Tay monarch regarded these tracts as requiring separate governance from the basin area (tong4 mäng2) on account of differences in topography and ethnic composition. During the nineteenth and twentieth centuries these mountain tracts comprised territories administered by du, Jingpo leaders of noble birth descended from the five original clans. The Tay referred to them as Jingpo lords (khun1 khaang1), and the Han called them mountain headmen (Chinese: shanguan 山官). The position of du was hereditary, and their authority rested on recognition from within Jingpo society alone; Tay monarchs and Qing officials had no right to appoint them to office, dismiss them, or issue them with orders. 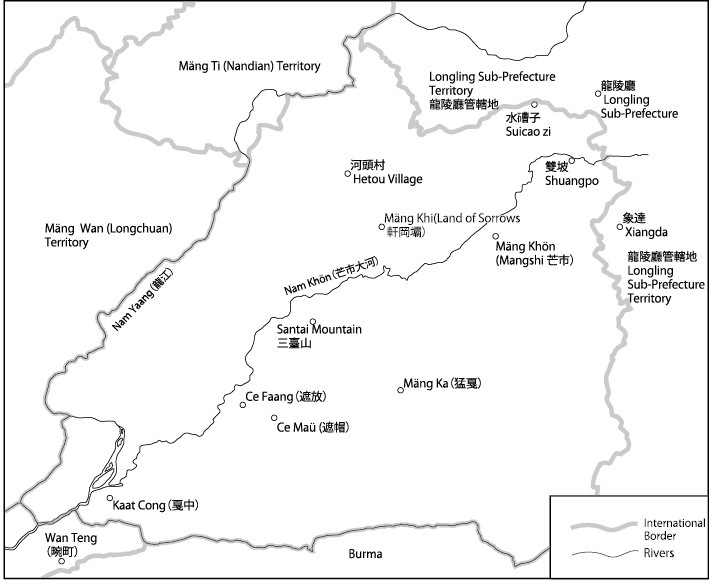 It is estimated that prior to 1950 a total of 96 large and small du lay scattered over the mountain tracts of Mäng2 Khön1 and Ce4 Faang1 (Dehong Zhou Zhengxie Wenshi Wei 2001, 1–16, 183–195). 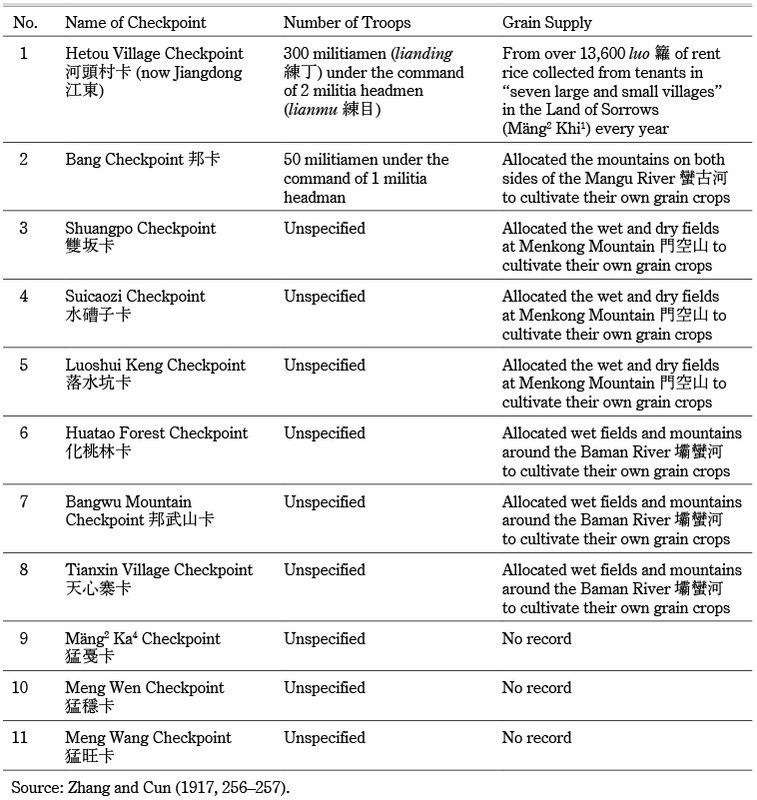 Table 6 lists the names of 12 Jingpo villages mentioned in the Chronicle, and No. 10 suggests that the number may have exceeded that figure. It identifies one mountain headman named Lön4 Mo3 (Table 6, No. 1) and the Ho1 Pöng1 clan (Table 6, No. 4), which confirms that the Tay negotiated with Jingpo clans and lineages through headmen. The Chronicle records the Jingpo leaders (du) with whom the Tay negotiated for military aid as “the leaders of the 10 commanders of the realm” (caw5 fa6 sip1 po4 mäng2) and “the nine leaders” (kaw5 caw5fa6).31) The numerals 9 and 10 seem to have borne significance for the Tay. Late nineteenth century Tay documents designate the mountain villages around Löy4 Län4 in the Wa states as “the Wa2 of the nine valleys and 10 mountains (Wa2 kaw5 hoy5 sip1 Löy4).”32) Unfortunately we have no information concerning the implications of these numerals, so it is impossible to speculate on the actual number of Jingpo leaders in the mountains of Mäng2 Khön1 at this time. Nor do we know anything about the degree of control that Jingpo leaders exercised over the people whom they represented. What is noteworthy is that Jingpo society here, the closest equivalent to the acephalous communities of Scott, definitely communicated with polities through numerous leaders. The Jingpo were raiders and mercenaries during the four decades of political and military upheaval. After ceasing sporadic marauding sometime after their attack on the ruler’s capital and firing of the Kyöng1 Sëng1 Temple in 1169 BE (1808–9 CE) (KMMK, 86, lines 1–11), they fought for all sides: first with the Ta’aang, then with Po3 Co2 against the Ta’aang, and finally for the Tay in intra-Tay conflicts. They served their employers faithfully, and the Chronicle does not charge them with duplicity. They were deeply involved in the struggles, switching sides to their own advantage, until the monarch Faang1 Thet6 Fa6 returned to the polity in 1836. This demonstrated that Jingpo leaders had the ability to organize warriors from their territories for mercenary work, and indicated that Jingpo political organization, no matter how minuscule and fragile, was capable of responding to the changed circumstances of lowland polities. Unlike the other mercenary group, the Han native militia from Mäng2 Ka4, the Jingpo do not seem to have sought payment in silver; the Tay simply guaranteed them plunder as compensation. In the final battle with the Ta’aang sometime in 1817–18, the nine leaders (caw5fa6) of the Jingpo “pledged (sëng1 kan4) to truthfully accept the terms of the pact” after assurance from the deputy caw5fa6 that “you can seize, at will, all belongings and property that you set eyes on, as well as all of their cattle, water buffaloes, horses, and wet-rice fields.”33) The Chronicle describes the sacking of a Ta’aang highland recess by Jingpo warriors: they “pillaged all the belongings, cattle, and water buffaloes, and led them away along the tracks that pass through the ravines and chasms, in order to avoid walking on the roads” (ibid., 114, lines 20–23), where they would have been seen by Tay soldiers. The wild Khaang1 from the jungle arrived at Na2 Yön3 and Weng2 Mon5. They came in bands, and the lines of them stretched so long that it was difficult to tell the exact number. But there were many, and they swarmed all over and jam-packed the villages in a disorderly fashion. The süng1 named Caang6 from Mäng2 Wan2, together with 20-odd Tay2 Yaang2, were billeted at the same place [among the Khaang1]. The fort (weng2) and temple teemed with Khaang1, but not all of them could be accommodated. No one could say how many hundreds or thousands came, but the whole fort (weng2) rang with the clamor of their voices. The description of the old and the decrepit, as well as the underage, rushing to feast on meat and rice wine reflects differences in upland and lowland agricultural output; the latter produced more food than the former. Yet, at the same time, this passage reinforces the image of the Jingpo as ever greedy for food and always craving for loot. The text portrays their insistence that the spirits be placated by the sacrifice of cattle before they could go on to the battlefield as a ploy to feast on beef. Jingpo leaders expected to be treated with kindness in return for their perceived sponsorship of the monarch’s accession to the throne, and were incensed that he had not shown them goodwill. In their eyes the monarch had reneged; by ignoring the covenant (details not given), he had shown contempt for them. It was the personal animosity of Jingpo leaders toward the monarch that had caused the breakdown of the lord-vassal relationship, and they felt that his repudiation of the pact justified their cessation of tribute and retributory attacks on him. Due to the political, social, and cultural distance between Tay and Jingpo societies, the monarch could not, and indeed had no reason to, incorporate Jingpo leaders into his bureaucracy as high-ranking officials, as he had done with the Ta’aang. He regarded them as his most geographically and culturally distant vassals and patronized them in a flexible manner. Jingpo headmen viewed the relationship in a different way. In their eyes, they negotiated agreements with the monarch as equals. They did not acknowledge “royal will,” so in their view the monarch needed their consent to alter the terms of the covenant, and his breach of this unwritten contract justified squaring the debt by punitive action. But it was the prerogative of the monarch to issue royal injunctions and alter accords as he pleased, so to him there were no “broken promises”: failure of the Jingpo to comply with his orders simply amounted to insubordination, a serious transgression of the lord-vassal relationship. Jingpo grievances about broken promises and ill treatment at the hands of the ­monarch, no matter whether fancied or real, facilitated manipulation of the Jingpo by Tay officials in times of political strife. This is exactly what happened in Mäng2 Khön1 when Tay factions and even the deputy ruler had to negotiate with the Jingpo for military assistance. Sometimes the collapse of the bond between lord and vassal turned the tables in favor of the Jingpo. They could now take advantage of circumstances to negotiate with Tay factions for prospective plunder. In short, they became mercenaries due to the breakdown of monarchical power and the rise of Tay factionalism, a situation different from the Han militia of Mäng2 Ka3, who loyally served the legitimate monarch for ­monetary compensation. The legitimacy of the Tay monarch was founded on recognition from within Tay society and authorization by Chinese dynastic power. The loyalty of Han militia revealed a sophisticated understanding of the internal and external factors that constrained Tay politics; the Han militia were careful to uphold Chinese dynastic policy. But the Jingpo who had not yet been incorporated into indirect rule by Chinese dynastic power felt autonomous enough to act for their own benefit alone. This case study furnishes no evidence to validate Scott’s thesis of mountain areas as refuge zones for migrants from lowland oppression, or even that these areas served as reservoirs for supplying lowland regimes with tax-paying subjects through either conquest or slave raiding. What it does expose, however, is the symbiotic side to upland-lowland relationships: political and social stability in the lowlands was contingent on cooperation from upland peoples. It discloses upland peoples as deeply involved in lowland political struggles. Among them the situation of the Ta’aang was exceptionally intricate. Due to their cultural proximity to the Tay as Theravada Buddhists, the monarch felt confident enough to promote Ta’aang leaders to high-ranking positions in the bureaucracy and entrust them with the administration of strategic areas. The Jingpo, once foes but now friends, served as auxiliary military forces for various Tay factions as mer­cenaries. The historical facts reveal a reality far more complex than the oversimplistic one envisaged by Scott: upland peoples were flexible enough to actively participate in the machinations of Tay polities for their own purposes, a far cry from the stratagems of state evasion and state prevention. If this was so, then what were the central issues in upland-lowland relationships? The intense strife first between the Tay and Ta’aang, and then among the Tay themselves, exposed Tay rulers as failed manipulators of upland and lowland peoples. The consequences of misgoverning mountain tracts were grave. Disgruntled upland peoples ruined basin life by raiding, and their political intrigues unsettled Tay societies. Failure to conciliate them resulted in the inversion of the political and the ethnic order; Ta’aang officials abused Tay commoners, and Jingpo raiders even had the audacity to claim that the monarch owed his throne to them. In short, upland peoples turned Tay society upside down, and the monarchy survived a succession of trials and tribulations with the assistance of mercenary Han Chinese and Jingpo. This testifies that symbiosis of upland and lowland was a central issue in multi-ethnic Tay polities for the maintenance of political and social stability. Though violent conflict flared up when upland-lowland relationships, especially the bonds binding vassal to lord, became strained and stressed, interde­pendence still remained an essential element. Interdependence was influenced by the degree of affinity forged between upland and lowland ethnic groups. Conflict unfolded according to political, and possibly sectarian, religious differences, but not on the basis of deep-seated ethnic hatred. Ultimately the Ta’aang and Tay did not unify as ethnic groups and instead split into multi-ethnic factions that shifted alliances at will; some Ta’aang defended the monarch’s supremacy, while others opposed it. The Chronicle implies, but does not explicitly state, that the Ta’aang usurped regal power but maintains silence about the exact reasons for their antagonism toward the monarch. Regal condemnation of Buddhist sects followed by the Ta’aang may have been a factor. Nevertheless, it is clear that common cultural and religious features enabled Ta’aang and Tay to band together into cliques, while a lack of consanguinity distanced the Jingpo and the Han native militia of Mäng2 Ka3 from the Tay. But the absence of such features did not prevent the Han and Jingpo from becoming entangled in basin politics both as vassals and as mercenaries. Unswerving in their loyalty to the Tay monarch, the Han did not raid or aspire to high official positions within the polity. Negotiation between upland and lowland leaders, as well as the need to trade in goods and services, worked to bind upland to lowland politically and economically. Rather than seeing diametrical opposition as the main characteristic of upland-­lowland relations as Scott does, this study demonstrates the close connection between the two and reveals that the relationship between upland peoples and Tay polities shifted with changing politico-social circumstances. It also identifies the late eighteenth and early nineteenth centuries as a tumultuous period for upland and lowland; migration of new ethnic groups (for instance the Jingpo) forced basin polities to readjust their strategies. These findings have implications for the history of northern continental Southeast Asia. Upland and lowland symbiosis in Tay polities is not unique to this case study; it resonates with historical evidence from other areas of the Tay world. Misgovernment of upland peoples by the Sipsong Panna polity led to the annexation of mountain tracts east of the Mekong River by the Qing in 1729 (Daniels 2004). The Sën5 wii1 polity in northern Myanmar also suffered from Jingpo depredations during the nineteenth century. Widespread strife with upland peoples indicates that Tay political systems progressively became incapable of balancing the interests of all ethnic vassals during the eighteenth and nineteenth centuries, a time of turbulent change for upland societies in the region. The population explosion in China during the eighteenth century spawned large-scale Han Chinese migration to the highlands of southern Yunnan. Burgeoning upland populations together with the expansion of commercial cotton and tea cultivation in the mountains of southern Yunnan and northern Myanmar propelled migration. 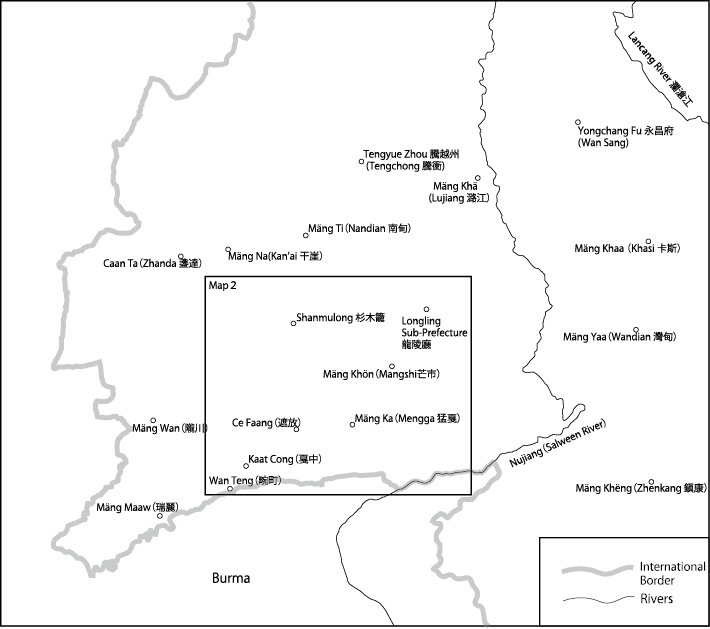 Increased settlement of Han Chinese in the mountains caused indigenous upland groups to relocate farther south to the hills of Myanmar, Thailand, Laos, and Vietnam.37) In addition to the perennial encroachments of Chinese dynasties, lowland polities, and later colonial regimes, upland peoples now faced intensified commercialization and greater pressure on land use. Changing politico-economic conditions in the region exacerbated conflicts between upland and lowland peoples. The mention of conflict brings us to another theme, the prevalence of violence. C. Patterson Giersch has drawn on the work of Richard White to argue that society on the frontier in southern Yunnan from the eighteenth century was characterized by a “middle ground.” By invoking this concept Giersch has succeeded in revealing the mixing of Han and indigenous cultures in some parts of the Yunnan frontier, but it has led him to downplay the role of violence (Giersch 2006, 3–4). The evidence presented here demonstrates that violence was a fact of life for lowland and upland peoples alike in a Tay polity feudatory to the Qing. Its frequency is epitomized by the fortification of villages all over the Mäng2 Khön1 basin. The Chronicle documents the Ta’aang enclosing their villages in the Land of Sorrows and on the adjacent mountains for defense against the Jingpo: “At that time, they dug ditches, erected high reinforced earthworks (tën4), and surrounded all of the weng2 with thick lines of spikes to make them more impregnable” (KMMK, 95, lines 5–6). Here weng2 are not walled cities but stockaded or fortified villages, as can be seen from names such as Weng2 Maan5 Yak6.38) The waning of monarchical power and prestige spawned conflict and compelled villagers to defend themselves. The 11 checkpoints established by the Qing between 1815 and 1820 (see Table 3) failed to prevent the outbreak of civil war within the feudatory polity. Past research has documented the multiplication and intensification of armed conflict from the late eighteenth century in Yunnan as social and economic circumstances changed rapidly (Atwill 2005, 54–63). This study confirms that violence was far more widespread and destructive than can be captured in the notion of a middle ground. Atwill, David G. 2005. The Chinese Sultanate: Islam, Ethnicity, and the Panthay Rebellion in Southwest China. Stanford: Stanford University Press. Da Qing Gaozong Chun Huangdi Shilu 大清高宗純皇帝實録 [Veritable records of the Qianlong reign]. 1970. Taibei: Huawen Shuju. Cited as DQGCHS. Daniels, Christian クリスチャン・ダニエルス. 2011. Shin Cho to Kombaun Cho no Hazama ni Aru Unnan no Taijin Seiken: 1792 Nen–1815 Nen made no Kokunai Funso 清朝とコンバウン朝の狭間にある雲南のタイ人政権―1792年～1815年までの国内紛争 [A Tay polity in Yunnan hemmed between the Qing and Konbaung states: Internal strife between 1792 and 1815]. In Umareru Rekishi, Tsukurareru Rekishi: Ajia, Afurika Shi Kenkyu no Saizensen kara 生まれる歴史，創られる歴史―アジア・アフリカ史研究の最前線から [History born, history created: From the frontline of historical research on Asia and Africa], edited by Yoko Nagahara 永原陽子, pp. 55–91. Tokyo: Tosui Shobo. ―. 2010. Review of The Art of Not Being Governed: An Anarchist History of Upland Southeast Asia by James C. Scott. Southeast Asian Studies 48(2): 205–210. ―. 2004. Yosei 7 Nen Shin Cho ni yoru Shipusompanna Okoku no Chokkatsuchika ni tsuite: Tai Kei Minzoku Okoku o Yurugasu Sanchimin ni kansuru Ichi Kosatsu 雍正七年清朝によるシプソンパンナー王国の直轄地化について―タイ系民族王国を揺るがす山地民に関する一考察 [The annexation of Sipsong Panna by the Qing Dynasty in 1729: An examination of hill peoples who rocked the foundations of a Tay kingdom]. Toyoshi Kenkyu 東洋史研究 62(4): 694–728. ―. 2000. The Formation of Tai Polities between the 13th and 16th Centuries: The Role of Technological Transfer. Memoirs of the Research Department of the Toyo Bunko 58: 51–98. Reprinted in China and Southeast Asia, edited by Geoff Wade, 2008. Routledge Library on Southeast Asia, Vol. 2: Southeast Asia and Ming China (from the Fourteenth to Sixteenth Century). London and New York: Routledge. Dehong Zhou Zhengxie Wenshi Wei 徳宏州政協文史委, ed. 2001. Zhongguo Jingpo Zu Shanguan 中國景頗族山官 [Jingpo nationality Shanguan in China]. Mangshi: Dehong Minzu Chubanshe. Fletcher, H.G. 1927. Tengyueh: Route Book of Travels in Neighbourhood, Hints for Travellers, Market Day Dates, and Notes on Yunnan Pronunciation, Etc. China Maritime Customs, III. Miscellaneous Series, No. 36. Shanghai: Inspector General of Customs. Giersch, C. Patterson. 2011. Cotton, Copper, and Caravans: Trade and the Transformation of Southwest China. In Chinese Circulations: Capital, Commodities, and Networks in Southeast Asia, edited by Eric Tagliacozzo and Wen-Chin Chang, pp. 37–61. Durham and London: Duke University Press. ―. 2006. Asian Borderlands: The Transformation of Qing China’s Yunnan Frontier. Cambridge: Harvard University Press. Gong Suzheng; Jin Xingming; and Mo Aiwu 龔肅政, 金星明, 莫愛武, transliterate. 2002. Khä2 Mäng2 Mäng2 Khön1 [The Mäng2 Khön1 chronicle]. Kunming: Yunnan Minzu Chubanshe. Cited as KMMK. Guo li Gugong Bowuguanyuan 國立故宮博物館院 [National Palace Museum], ed. 1988. Gongzhongdang Qianlongchao Zouzhe 宮中檔乾隆朝奏摺 [Secret palace memorials of the Qianlong period: Qing documents at the National Palace Museum]. Taibei: National Palace Museum Press. Cited as GZDQZ. Izui Hisanosuke 泉井久之助. 1949. Hikaku Gengogaku Kenkyu 比較言語學研究 [Studies in comparative linguistics]. Osaka: Sogensha. Kataoka Tatsuki 片岡樹. 2007. Sanchi kara Mita Chumen Henkyo Seiji Shi: 18–19 Seiki Unnan Seinambu ni okeru Sanchimin Rafu no Jirei kara 山地から見た中緬辺彊政治史―18～19世紀雲南西南部における山地民ラフの事例から [The political history of the Sino-Burmese periphery as viewed from the hills: A case study of Lahu highlanders of southwest Yunnan in the eighteenth to nineteenth centuries]. Ajia, Afurika Chiiki Kenkyuアジア・アフリカ地域研究 [Journal of Asian and African studies] 73 (March): 73–99, particularly 93–96. ―. 2006. Tai Sanchi Isshin Kyoto no Minzoku Shi: Kirisuto Kyoto Rafu no Kokka, Minzoku, Bunka タイ山地一神教徒の民族誌―キリスト教徒ラフの国家・民族・文化 [An ethnography of monotheists in the hills of Thailand: The state, ethnos, and culture of Christian Lahu]. Tokyo: Fukyosha. Lieberman, Victor. 2010. Review Article: A Zone of Refuge in Southeast Asia? Reconceptualizing Interior Spaces. Journal of Global History (5): 333–346. Lik6 Öng3 Kyaam3 Sin3 Mäng2 Khön1 [The chronicle of Öng3 Kyaam3 Sin3 of Mäng2 Khön1]. N.d. Microfilm copy deposited at the Yunnan Provincial Archives. Cited as LÖKSMK. Luxi Xianzhi Bianzuan Weiyuanhui 潞西縣志編纂委員会, ed. 1993. Luxi Xianzhi 潞西縣志 [Gazetteer of Luxi county]. Kunming: Yunnan Renmin Chubanshe. Meng Zunxian 孟尊賢. 2007. Dai Han Cidian 傣漢詞典 [Tay Han dictionary]. Kunming: Yunnan Minzu Chubanshe. Nomoto Takashi; and Nishikawa Kazutaka 野本敬, 西川和孝. 2008. Kanzoku Imin no Katsudo to Seitai Kankyo no Kaihen 漢族移民の活動と生態環境の改変 [The activities of Han migrants and changes to the ecological environment]. In Ronshu Monsun Ajia no Seitai Shi, Vol. 2: Chiiki no Seitaishi 論集モンスーンアジアの生態史, 第二巻: 地域の生態史 [Articles on the ecological history of Monsoon Asia, Vol. 2: Regional ecological history], edited by Christian Daniels, pp. 15–34. Tokyo: Kobundo. Scott, J. George. 1893. From J. G. Scott, Superintendent, Northern Shan States, to the Chief Secretary of the Chief Commissioner, Burma, Concerning the Kachin Question in North Hsenwi. Lashio, 2 August (British Library Mss Eur F278/79). ―. 1890. Report on the Administration of the Shan States for the Year 1889–90. Rangoon: Superintendent, Government Printing, Burma, August (British Library Mss Eur F278/71). Scott, James C. 2009. The Art of Not Being Governed: An Anarchist History of Upland Southeast Asia. New Haven and London: Yale University Press. Shintani Tadahiko 新谷忠彦. 2008. The Palaung Language: Comparative Lexicon of Its Southern Dialects, Vol. 1. Tokyo: Research Institute for Languages and Cultures of Asia and Africa. ―. 2000. Shan (Tay)go Oninron to Mojiho シャン（Tay）語音韻論と文字法 [The phonology and writing system of Shan (Tay)]. Tokyo: Institute for the Study of Languages and Cultures of Asia and Africa. Takeuchi Fusaji 武内房司. 2010. 19 Seiki Zenhan, Unnan Nambu Chiiki ni okeru Kanzoku Iju no Tenkai to Sanchimin Shakai no Henyo 一九世紀前半，雲南南部地域における漢族移住の展開と山地民社会の変容 [The expansion of Han migration and the transformation of hill people’s society in southern Yunnan during the first half of the nineteenth century]. In Chugoku Kokkyo Chiiki no Ido to Koryu: Kingendai Chugoku no Minami to Kita 中国国境地域の移動と交流―近現代中国の南と北 [Movement and interaction in Chinese international border areas: South and north in modern and contemporary China], edited by Shigeyuki Tsukada 塚田誠之, pp. 117–143. Tokyo: Yushisha. Tengyue Zhouzhi 騰越州志 [Gazetteer of Tengyue Zhou]. Printed 1790. Textual references to 1897 reprint. Yang Lizhong 楊履中, ed. 1946. Yunnan Quansheng Bianmin Fenbu Ce 雲南全省邊民分佈冊 [Handbook of the distribution of border peoples in the whole of Yunnan Province]. Kunming: Yunnansheng Minzhengting Bianjiang Xingzheng Sheji Weiyuanhui. Yunnan Shifan Daxue Dilixi 雲南師範大学地理系 et al., ed. 1998. Yunnan Shengzhi 雲南省志 [Gazetteer of Yunnan Province]. Kunming: Yunnan Renmin Chubanshe. Zhang Jian’an; and Cun Xiaoting 張鑑安, 寸暁亭, ed. 1917. Longling Xianzhi 龍陵縣志 [Gazetteer of Longling County]. Photographic reproduction by Chengwen Chubanshe, Taibei, 1975. (1)	It is applicable for transcribing and/or transliterating all the languages in the Tay Cultural Area (Tay languages, Tibeto-Burman languages including Burmese, Mon-Khmer languages, etc.). (2)	It is designed to avoid digraph of vowels. It distinguishes diphthongs and records long and short vowels in a terse form. (3)	It can be inputted with conventional fonts. (4)	The use of -y and -w as a syllable final is designed to avoid triptongue. Note that the consonant clusters -w- (pw-, tw-, thw-, sw-, lw-), -y- (py-, phy-, my-), and -r- (mr-, sr-, cr-) are not included in the Thai system. The tones of Dehong Tay and their relationship to Proto-Tay are given in the following table. For reference, the tones of Tay (Shan) in Burma and their relationship to Proto-Tay are given in the following table. 1) The Romanization of Tay words follows the Shintani system (see Appendix), but for the sake of clarity I have changed some initial consonants for ease of comparison with standard Tay (Shan) in Myanmar. For instance, present-day Dehong Tay does not distinguish between the initial consonants “n” and “l,” and uses “l” to indicate this sound, but I use nam6 (water) instead of lam6 and na2 (wet-rice field) instead of la2, etc. 2) J. C. Scott (2009). See reviews by Lieberman (2010) and Daniels (2010). 3) For another case study of a Tay regime whose stability and territorial integrity was threatened by unrest in the uplands, see Daniels (2004). 4) The old script version of the Khä2 Mäng2 Mäng2 Khön1 (hereafter KMMK) is reputed to be held at the Dehong Autonomous Region Archives, in Mangshi, but the archives do not permit consultation. Gong Suzheng 龔肅政, the doyen of Tay studies in Dehong, recalls seeing a Republican period date on it, but the printed new script version provides no data concerning either the date of composition or the identity of the author. 5) The total population in 1947 was estimated at 50,832 people (Luxi Xianzhi Bianzuan Weiyuanhui 1993, 40). 6) See Giersch (2006, 106–109) for the trade embargo. 7) For the stationing of a thousand Green Standards at Santai Mountain under the command of Kamčibu, see GZDQZ (Vol. 37, 63). 8) There were no Han villages in the Mäng2 Khön1 basin prior to the 1950s. 9) For the role of Han immigrants in the Tay World, see Daniels (2000, 87–90). The Chronicle mentions the Khe3 working as carpenters and stone bridge builders in Mäng2 Khön1 during the eighteenth century, but it gives no detailed information about which ethnic groups were included under the rubric of Khe3. The term Khe3 could denote craftsmen of Han, Bai, or other ethnicities. Khe3 carpenters completed the construction of the Kyöng2 Kham2 Temple in 1172 BE (1810–11 CE) (KMMK, 88, lines 13–20). 11) LÖKSMK, 48, line 12–49, line 8. KMMK, 95, lines 7–22 gives a slightly different version. 13) KMMK, 111, last line. 14) Maang2 Ka6 La6 seems to have been the title for an administrative head of an area within a polity. Other known examples appear in letters written in Tay by Wa leaders, where it is used as a supplementary title for a Tha2 Mäng2 (head of a circle of villages in the Wa polity of Ngek Let), see LL8.81 and LL8.82 held in the Scott Collection, Cambridge University Library. There are two references to this title in the Chronicle—(1) KMMK, 126, lines 4–6 has “At that time the warrior Po4 Co2 Maang2 Ka6 La6 Po3 felt worried, and was not at all pleased with the Pö4 long4,” and (2) LÖKSMK, 64, lines 2–3 has “At that time the gallant Po4 Co2 Maang2 Ka6 La6 Pho3 was enraged at the disobedience of the Pö4 long4.” The Pho3 in (2) is a mistake for Po3. 17) Mäng2 Khä2 (Chinese name: Lujiang 潞江): khä2 means vine, creeper, race, lineage, topic 藤．According to Fletcher (1927, 132), Lujiang 潞江壩 refers to the Salween Valley between Hemushu 禾木樹 and Zhen’an suo 鎮安所, and he gave the Tay name as Namhkö. 18) Mäng2 Kha2 (Chinese: Khasi cun in Changning County 昌寧県尗斯村): kha2 means “mao grass 茅草.” Mäng2 Kha2 is also known as Kha2 Se:2 Wa3, which means “Fine Mao Grass 茅草 Village.” According to Meng Zunxian (2007, 1347), it refers to Kejie 柯街 in Changning County 昌寧県. 19) Mäng2 Ya2 (Chinese name: Wandian 灣甸 in present-day Changning County 昌寧県 Wandian Rural Township 灣甸郷). The term Mäng2 Ya2 is identified as Wandian zhou 灣甸州 in the Baiyiguan Laiwen 百夷館來文 No. 8 (see Izui 1949, 263–264). The meaning of ya2 is unknown. 20) Mäng2 Khëng1 (Chinese name: Zhenkang 鎭康): khëng1 means “firm, hard.” The Baiyiguan Laiwen 百夷館來文 No. 1 and No. 6 gives the Chinese equivalent as Zhenkang zhou 鎭康州 (see Izui 1949, 247, 258). 21) KMMK, 132, lines 3–9 records: “After the pulverization and utter destruction of Köng2 Long1 (Big Ridge) the Nga2 Mäng2 fled far away, taking only about five people. After reaching the road at Na2 Law2 that led to the cave in the crags, this small party came across a band of soldiers armed with muskets (köng5) who recognized him as the Pa4 löng4 commander from Paang4 Way5, the Nga2 Mäng2 named Thaak6 Kaang4 Wa3. These soldiers hastily lit their muskets (köng5) and instantly shot dead the Pa4 löng4 commander, the Nga5 Mäng5.” The prefix thaak6 indicates that the Ta’aang leader had formerly been ordained as a monk but had now returned to secular life. 26) KMMK, 215, lines 18–22. The ethnic affiliation of the Ë3ä3 is unknown. The La6 refers to the tame Wa (kha5 La6) (see J. G. Scott 1890, 23). 27) The Japanese linguist Shintani Tadahiko divides the Ta’aang language into northern and southern dialects. On the basis of his extensive linguistic surveys, he identifies the main difference between them as the preservation of ancient voiced stops in the northern dialects and the tendency for these voiced stops to de-voice in the southern dialects. 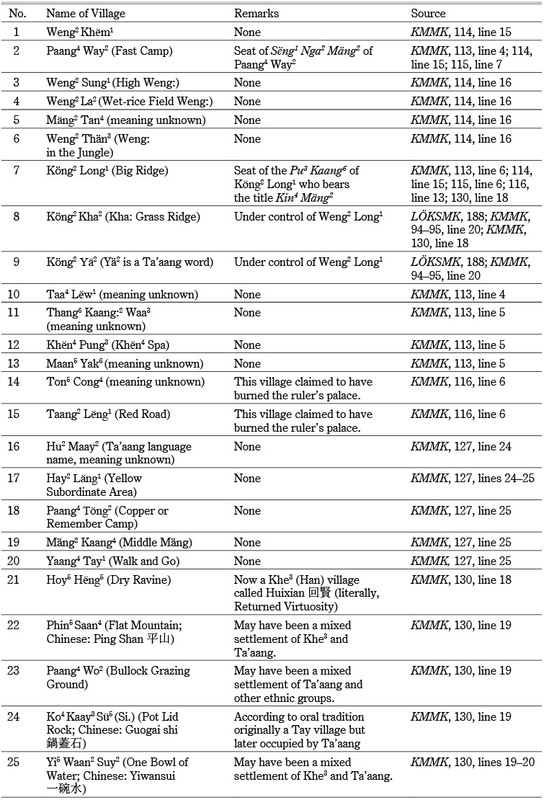 The vocabulary data published in his lexicon (Shintani 2008) was collected from fieldwork with seven speakers of the southern dialect: three in the Kengtung basin area and one each from Mäng4 Peng (east of the Salween on the road to Ho1 Paang2), Mäng4 Küng1 (north of Laay4 Khaa4), Yassaw (Lök5 Cök2, north of Taunggyi), and Kalaw (near Taunggyi). In a personal communication on February 21, 2011 Shintani informed the author that the autonym differs in the north and south. In the north (southwest Yunnan and Nam5 San2) people generally refer to themselves as Ta’aang, while in the south (southern part of the Shan State) they call themselves Dara’aang. Apparently, this difference is due to a change in the original voiceless plosive initial consonant “t,” which has become an implosive initial consonant “d” in the south. One notable exception is the Liang dialect 梁方言 spoken in Baoshan 保山 in southwest Yunnan, where the autonym is now Na’aang. Shintani hypothesizes that Na’aang has evolved from Da’aang with an implosive “D-.” He also reports the following examples: the autonym at Pha1 Min5 (east of Salween) is Dara’aang, and the autonym at Kalaw (west of Salween) is Da’aak, while the autonym at Nam5san2 is Ta’aang. 28) The term thaak6 denotes a former monk. 29) KMMK, 234, line 22. Khang1 is a mistake for Khaang1. 30) The term löy4 ko3 fa6 appears in KMMK, 114, line 14, and löy4 lum5 fa6 in KMMK, 115, line 8. 31) These two titles appear in KMMK, 113, line 12 and KMMK, 126, lines 1–12 respectively. 32) This phrase appears in an undated letter from the Caw3pha5 of Ngek Htin to the Caw3pha5 of Löy3 Län3 (Scott Collection, Cambridge University Library, LL8.35, lines 9–10). 34) For (1) and (2) see J. G. Scott (1893, 10, Appendix XXIV); and for (3) and (4) see J. G. Scott (ibid., Appendix XXIII). 35) The Jingpo claimed to have shown gratitude (ke2 cu2) to Faang1 Ko3 Fa5 by withdrawing after they attacked and occupied the city of Mäng2 Khön1 earlier, thereby averting further destruction. 36) The term bo3 mäng2, literally the military leader of the country [of the Jingpo], probably refers to a mountain headman (shanguan). 37) For commercial crops see Takeuchi (2010); for population movements see Nomoto and Nishikawa (2008); for changes in trade see Giersch (2011). Since the great weng2 was constructed when the civil and military Khe3 official, Si5 Taaw3, came down, it was sturdy as if it had been built with stone (pha1). It was thickly encircled by three moats, and in addition each moat (maang4 ta4) had been surrounded with a barrier of intermeshed bamboo spikes. Our Tay warriors attacked but could not overcome it.